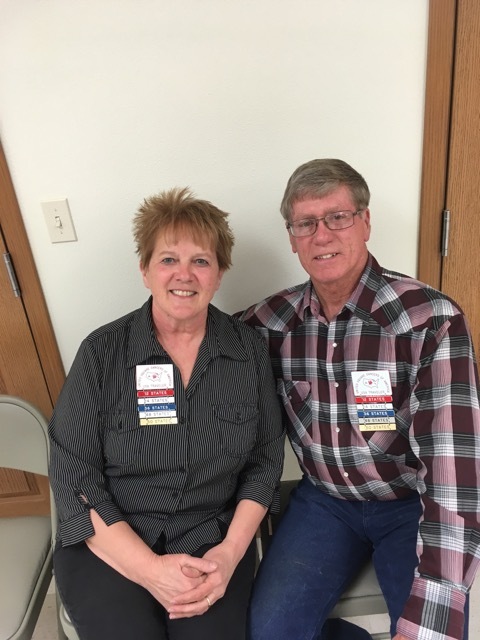 USDA News | Square Dance Minnesota, Inc.
Roger & Bernadette McNeil wearing their USDA travelers badge and five dangles for dancing in all 50 states. The final four – Georgia, Alabama, Mississippi and Louisiana – were completed in February. They’ll each receive two registrations for the National Convention; one for dancing in 48 states and one for dancing in 50 states. This entry was posted in Activities on March 21, 2018 by LeRoy.